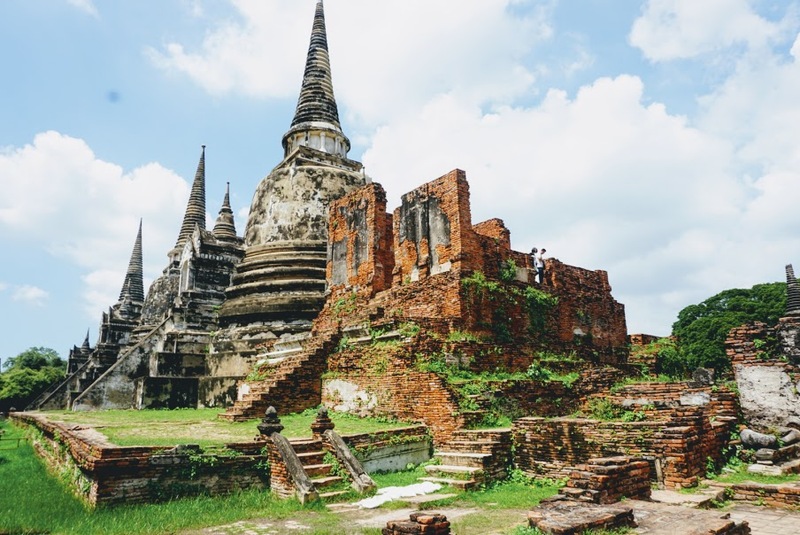 Looking to take a day trip to Ayutthaya from Bangkok? You’ve come to the right place! As much as I love the hustle and bustle of Thailand’s capital, Bangkok, it’s always nice to get a break from the big city. A perfect day trip, even for those with a limited amount of time, is a trip north to Ayutthaya. The site was declared a UNESCO Heritage Site in 1991 and offers a series of incredible temples to visit. The temples are also considerably less crowded than many of those in the rest of Thailand. 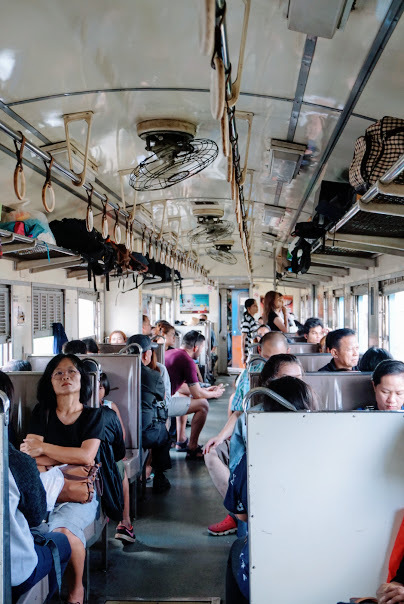 The city is easily accessible by train from Bangkok’s Hua Lamphong station with ticket prices dependent on the type of seat and trip length. Tickets can be purchased on the day of, however in this case I recommend buying your return ticket as soon as you arrive in Ayutthaya as tickets do sell out, even in the low season. On our way there we opted for a standing ticket (or non-specified seat) on a hour train, setting us back 20 baht ($0.60). For the way home we purchased a reclining seat as our train would take two hours, and it price only increased to 65 baht ($2). 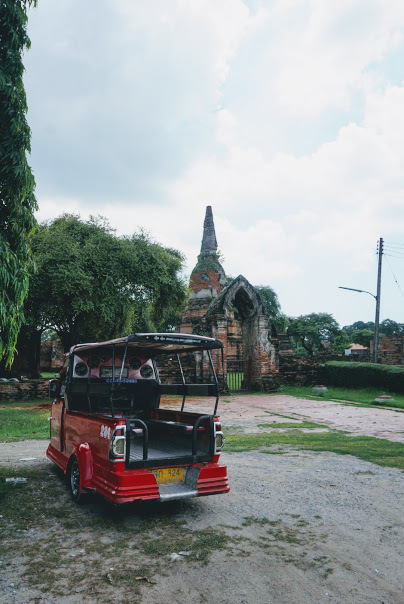 The most common method of getting around the temples of Ayutthaya is by tuk tuk. The going rate at the train station is 900-1000 baht ($27-30), however you can always bargain. For cheaper rates follow the street perpendicular to the train station, where you can hire a driver for 200 baht ($6)/hour. This price does not include entrance into the temples however. Although it is bit pricey, taking a tuk tuk allowed us to see a lot more than if we had rented bikes. Additionally, you can fit up to four passengers for the same price so bring (or make) some friends along for the journey! The tuk tuk drivers will present you with a list of the top temples to visit. The temples all cost 50 baht ($1.50) to enter, with the exception of Wat Yai Chai Mongkon (20 baht) and Wat Lokayasutharam (free). Our tuk tuk driver brought us to the most incredible noodle place, however I unfortunately do not know the name so I have included photos for reference. We had the dry noodles (30 baht/bowl) and they were so good that we had a second round! Enjoyed what you read? Why not PIN it for later? Awesome post! I have never been to Thailand. Your pictures are stunning and those noodles got me hungry. I don’t know the name either. Thanks! 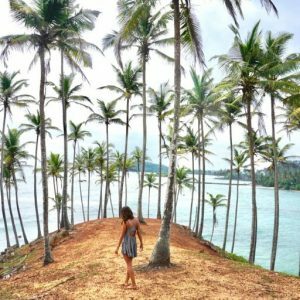 I definitely recommend adding Thailand to your bucket list! I’ve been a handful of times now and it’s one of my favorite places in the world! What a comprehensive guide 🙂 Makes me wanna go! I’ve never been to Thailand but it’s definitely on my list! Thank you for your guide, the photos are stunning! Your pictures are so captivating and definitely makes me want to visit! I was sad to miss this during my last trip to Bangkok.Thanks for the useful tips! Thank you! I think that a lot of people skip it because it is outside of the city, but if you’re ever in Bangkok again I highly recommend making the trip! 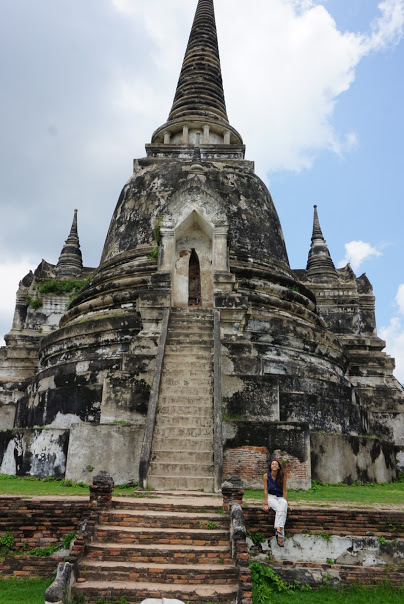 I am so sad that I was never able to visit Ayutthaya last year! I was not in Bangkok and that and Chiang Rai were the two spots I regret not having a couple of extra days to visit. I love that you share your daytrip there! I have also not been able to make it to Chiang Rai – but I hope to one day! 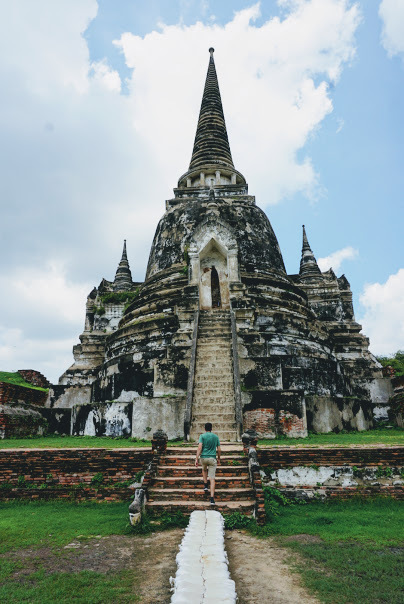 I missed out the chance to visit Ayutthaya when I was in Thailand, I had a friend traveling with me at the time and we were on in Bangkok for a few days. Having read through this post, I wish I had done the trip. There were other occasions and trips we did where we hired a Tuk-Tuk driver for the day too. Once you get to know them a little they can be quite informative. 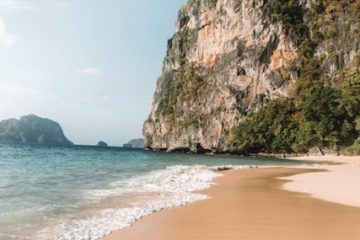 Thailand is the literal definition of "foreign" to me…I’m dying to go there but don’t know the first thing about planning a trip there and feel like I need a solid month to do it right! Wow your photos are amazing! Great post. LOVE your photos! Been wanting to visit Thailand for a while now, hopefully next year I’ll be able to check it off the list.